Jordan. Middle East. Wadi Musa. 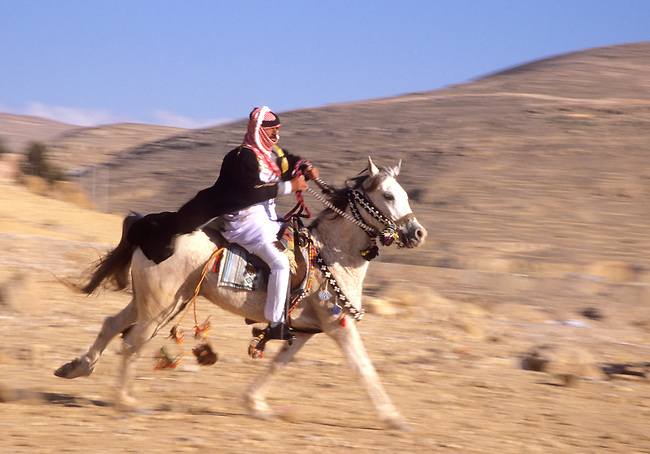 Bedouin gallops his horse dressed in traditional attire..